Elements include custom hand made tile, sinks and decorative architectural designs. Everything is custom, and can be made to coordinate with other elements in the space. 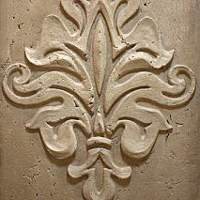 Contact Shane Snider to find out more about custom concrete elements.